A step-by-step guide on how to become a computer programmer. Step 1: Is being a computer programmer for me? Is being a computer programmer for me? Are computer programmers happy with their careers? What are computer programmers like? Still unsure if becoming a computer programmer is the right career path? Take the free CareerExplorer test to find out if this career is in your top matches. Perhaps you are well-suited to become a computer programmer or another similar career! Taking programming and computer science courses available in high school is valuable early preparation for entering the career. A focus on algebra, trigonometry, geometry, chemistry, and physics is also recommended for aspiring programmers. Paying attention to English, foreign language, and social studies classes is equally important, as these subjects are invariably part of the general education requirements for university acceptance. While Associate’s degree programs and online and self-teaching curricula exist in the field, most computer programmers have a Bachelor’s degree. The U.S. Bureau of Labor Statistics recommends that students of the profession consider majors in computer science, computer information systems, or a related discipline. Prospective programmers who wish to write business, engineering, or scientific applications often take background courses or minor in one or more of those subject areas. A Bachelor’s degree program in computer science teaches programming languages through the creation of algorithms. Among the most widely used languages taught are Java, C++, and Visual Basic. Programs typically include instruction in database management, computer networks, and operating systems. Computer information systems curricula have considerable overlap with computer science programs, but are more oriented towards adapting and applying information to the operational needs of businesses and other organizations. In addition to computer programming, they address organizational structure and management; enterprise applications; and computer security. Computer programmers may elect to specialize in a particular area of programming. Database development, for instance, involves writing programs that store, retrieve, and manipulate data for databases. Web development entails building applications that run over the Internet or over an organization’s Intranet. Programmers may also specialize in one or more computer languages. According to the Bureau of Labor Statistics, some job growth in the field may stem from new applications for mobile devices and for the healthcare industry. Internship opportunities with computer programming, database technology, tech-based, and web-based companies are often available in conjunction with Bachelor’s degree programs. As well, some companies and consulting firms provide intensive training programs for their new-hires. Computer programmers do not need to be licensed to work in the field. However, the profession does offer several voluntary certifications. The Institute for Certification of Computer Professionals confers the Certified Computing Professional and Associate Computing Professional designations. Microsoft offers a variety of credentials, including Microsoft Certified Application Developer and Microsoft Certified Solution Developer. Product vendors and software firms commonly require individuals to complete a certification program to work with their products. Because the technology industry is constantly evolving, individuals working in the field need to keep up with industry trends and innovations. To remain competitive, computer programmers must build competency in emerging languages and in updated versions of existing languages. 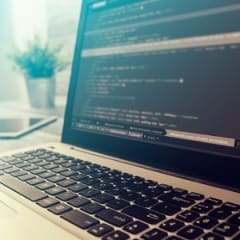 An advanced degree may qualify programmers for more senior roles as software developers, computer systems analysts, or information systems managers. There is, of course, more to computer programming than the act of coding. It is important for aspiring programmers to consider the entire picture. The happiest and most successful programmers quickly answer ‘Yes’ to each of the following questions, except the last one! Do I possess experimental creativity? There is no doubt that the work of a computer programmer calls for logic and deduction. But at its core, programming is a creative art. A new program is like a blank canvas and your paintbrushes are your languages, frameworks, and libraries. You are creating something out of nothing and this is a process that hinges on experimental fearlessness and tenacity. There is not one singular way to write code. Without natural curiosity, you will develop tunnel vision and always approach coding problems from the same angle. Ultimately, this methodology reduces programming to a rote activity that is uninspiring and unrewarding. Your motivation to write code has to come from within. If you don’t love the coding process and have a stake in it, you will never reach the objective, the product to be created. You have to understand and be able to appreciate that the fundamentally repetitive task of programming is, perhaps enigmatically, the path to a creative program. Do I love logic problems? Creating a program inevitably involves fixing or ‘debugging’ logic-based faults. Much of the reward in programming comes from fixing bugs. If you are naturally inquisitive about the inner workings of things; if you have an innate desire to repair that which is broken and find satisfaction in doing so, you probably possess one of the traits common in programmers. Am I okay with sitting for long periods? The nature of programming requires that programmers sit in front of a computer for extended lengths of time. All workers who are subject to this computer-related physical inactivity need to find ways to deal with inevitable unwanted distractions, cabin fever, and lapses in productivity. Perhaps most importantly, they have to pay attention to potential health issues that can arise from the sedentary aspect of the occupation. Am I okay with working irregular hours? Software development is a deadline-centric industry which does not always adhere to traditional nine-to-five workdays. As deadlines loom closer, coding teams often face ‘crunch time’ that may involve all-nighters. This is equally true for programmers who work for themselves as for those who work for someone else. Another aspect of the occupation that prospective programmers do not typically consider is its pervasiveness. Programming problems or stumbling blocks tend to get stuck in programmers’ brains. They find themselves working through solutions even when they are not physically on the job. Simply put, computer programming can make compartmentalization very difficult. Do I expect to get rich quickly? Programmers who get rich quickly are the exception to the rule. While it is certainly possible to make a lot of money as a programmer, overnight success stories are rare and generally create unrealistic expectations. Detail-oriented In writing and debugging code, one misplaced character can cause a program to malfunction. Critical thinker Just as in the English language there are different ways to say the same thing, in programming there are various ways to approach a problem and achieve the same end result. Some ways are more efficient and elegant than others. Focus and patience Writing line after line of code for long periods of time or conducting multiple tests to evaluate the quality and performance of a program demands concentration and perseverance. Active listening and communication skills Because computer programmers are often required to design user interfaces and write code based on a client’s or employer’s needs and instructions, it is vital that they be active listeners and communicators. Aspiring computer programmers should be encouraged by the fact that they can easily combine their interest in computer technology with affinity for another field. This is because in today’s world, essentially every company has to also be a software company. Moving a product or service to market is powered by software. Therefore, almost every industry needs programmers. Opportunities exist in transportation, hospitality, finance, insurance, education, consumer electronics, sports, entertainment, all levels of government, the non-profit sector, and many other areas. This wide spectrum of opportunity in the field suggests that the most successful programmers know how to communicate and collaborate. Because the world is increasingly complex and connected, programmers who can work in a lot of different contexts are better equipped to bring visions to life. This very marketable quality can only be developed with a dedication to lifelong learning. Based on our pool of users, computer programmers tend to be predominantly investigative people. Not surprisingly, this prototypical characteristic is essential in each of the primary duties of computer programmers: troubleshooting problems associated with software installation and customization; using relevant methodologies, policies, and standards to develop secure code; and applying knowledge of networking concepts to deploy code. Computer programmers rank as moderately happy among careers. Overall they rank in the 56th percentile of careers for satisfaction scores. Please note that this number is derived from the data we have collected from our Sokanu members only. The middling happiness quotient for programmers may be rooted in the misconception that the career is just about coding. Aspiring programmers who enter the field are likely to be disappointed if they fail to understand that the demands of the job of programming far surpass the appeal of the hobby of coding. How long does it take to become a Computer Programmer? The length of time required to become a computer programmer is dependent on the educational track chosen to pursue the career. The traditional choice is a university program and a four-year Bachelor’s degree. This provides students with the most versatile education and is, of course, the best option for those who wish to further their education with a Master’s degree. The higher cost of tuition for a four-year university program is typically offset by the fact that university graduates tend to earn higher salaries. Earning a Bachelor’s can also offer students more options when it comes to choosing a major or for adding a minor to their degree. The wider range of choices may be of particular help to students who are not sure which path suits them best. Because of the overlap in areas of study, it is often possible for students to take courses from a variety of related disciplines before settling on the best choice for them. A two-year Associate’s degree from a technical institute or trade school is an alternative way to learn how to become a computer programmer. This option reduces overall tuition fees and accelerates entry into the workforce. Also different from a Bachelor’s program, a technical institute curriculum focuses purely on computer programming training, without any additional courses outside of the major. A four-year degree, by comparison, requires that students take additional general education courses in literature, history, and the arts. These supplementary courses result in a more well-rounded education and provide students with more career options, which can be valuable with possible career changes later in life. An online program gives students the freedom to fit their coursework into their schedule. This option is ideal for individuals who are also working full time while going to school. When pursuing an online degree it is vital to ensure that the selected school is accredited and will therefore be recognized by prospective employers. Tutorials, samples of code in different languages, and other free resources are available online. It is therefore possible to become a programmer by following an online how-to guide. Setting one’s own curriculum and learning at one’s own pace may be attractive to some students, but it is important to note that learning programming without the guidance of a teacher can be difficult and sometimes frustrating. The road to becoming a computer programmer typically begins with a keen interest in technology and an almost insatiable curiosity about the language of computers. Next, comes a commitment to one or more traditional or untraditional education tracks. Finally, having continued success in the field demands a career-long awareness of and responsiveness to industry changes and developments. There is more than a single path to becoming a computer programmer. 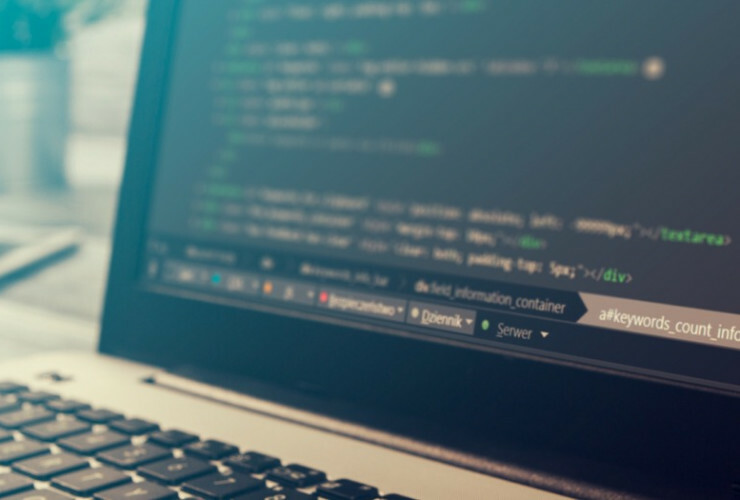 A four-year Bachelor’s degree is preferred by many employers, as it demonstrates a broad range of experience with programming languages and concepts and exhibits problem-solving skills that are vital in this occupation. Most computer programming degrees, however, exist at the Associate degree level. Programming, therefore, is included as an integral component of Bachelor’s programs in related areas, such as computer science, software engineering, information technology, information systems security, and computer engineering. An undergraduate degree in computer science is a common choice for prospective programmers. Students who earn a Bachelor of Science (B.Sc.) in this discipline learn the fundamentals of computer programming, as well as related mathematical and scientific principles. Coursework typically includes the design and analysis of algorithms; theory and techniques of discrete mathematics; computer organization and architecture; software development; and computer networks and internet-based communication. Some individuals enter the computer programming field without formal education. Many of these self-taught programmers become very proficient and successful. In the absence of a degree, they may need to develop substantial specialized experience or expertise. Because technology is constantly evolving, programmers must frequently update their knowledge and skills by taking courses sponsored by their employers or offered through colleges and universities. Regardless of their educational track, programmers must be particularly logical and detail-oriented thinkers; able to work with abstract concepts and patiently conduct precise technical analyses, sometimes under pressure and tight deadlines. There is one other necessary competency that is often forgotten by students considering programming as a career. It is not a particular programming language. It is the understanding of people and the ability to interact directly with users and non-technical personnel. There are frequently times when programmers need to explain to others why they can or cannot do something. They need to offer solutions, take direction, take criticism, listen to arguments, make apologies, and accept apologies. Programmers who learn the skill of communicating and marry that with their technical skill are the ones that stand out and thrive.